“In India, best-in-class solar and wind plants are now half the cost of new coal plants,” the report says, and this is despite the recent imposition of import tariffs on solar cells and modules. The China experience is also significant. While local authorities have put a brake on local installations, causing the domestic market to slump by one third in 2018, this has created a “global wave of cheap equipment” that has more than compensated for increased financing costs caused by rising interest rates. The cost of battery storage is also falling – so much so that in countries like Australia and India, pairing unsubsidised wind and solar with four hours of battery storage can be cost competitive with new coal or gas plants. “Short-duration batteries are today the cheapest source of new fast-response and peaking capacity in all major economies except the US, where cheap gas gives peaker gas plants an edge. As electric vehicle manufacturing ramps-up, battery costs are set to drop another 66 per cent by 2030, according to our analysis,” the report says. As the article said this is stunning stuff and nearly a full decade ahead the prediction made by the Australian Energy Market Operator just last year. There is a new word in the climate change lexicon – it’s called “stilling”. 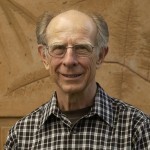 Michael Roderick and his colleagues at ANU found that pan evaporation rates were curiously decreasing as the world was warming. It didn’t make sense. They found that wind speeds were actually slowing, but curiously only over land. So far they don’t know why. Roderick’s favoured solution is that the difference between the tropical and higher latitude temperature is decreasing, because the latter are warming faster. So far they have only investigated speeds two metres above the surface. What happens at 100 metres where the modern wind farm is typically situated could be different. Windfarm capacity is up by more than 10% since a year ago, but the share of electricity they supplied dropped from 12.9% last year to 10.4% this summer, figures from National Grid show. Two controversial studies about wind farms hit the deck about a month ago in the US. The first modelled covering the Midwest with wall-to-wall wind farms to see how the climate changed based on what we know about wind turbine dynamics. It found that as a result of these wind farms, the continental US would warm about 0.24°C by century’s end. That may be a small price to pay considered against the 4.9°C of warming we are in for if we just keep ramping up emissions. “This is by no means what future wind power in the US will ever look like. It is an interesting theoretical exercise at best,” she told Gizmodo. “Even if we were interested in what this crazy scenario would do to air temperature, there are still problems with the tools that they used.” Those tools include the model used to project wind farm’s warming influence. The second study looked at wind farm power density in terms of the power output per square metre of land used. The methodology was similarly questionable, but both studies make the point that we need to consider the environmental and climate impact of large-scale renewable energy installations. Razing the world’s forests would release more than 3 trillion tons of carbon dioxide, more than the amount locked in identified global reserves of oil, coal and gas. By protecting and restoring forests, the world would achieve 18% of the emissions mitigation needed by 2030 to avoid runaway climate change, the group of 40 scientists, spanning five countries, said in a statement. I think it is misleading to say “halting deforestation ‘just as urgent’ as reducing emissions”. Halting deforestation is urgent and is part of reducing emissions. However, 18% is pathetically inadequate, even if it were achievable in practical terms. 5. 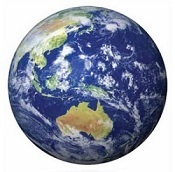 Blue Carbon: an effective climate mitigation and drawdown tool? Here’s another one about how we are chaotically laying waste to our planetary support systems. Blue carbon ecosystems are smaller in extent than terrestrial ecosystems, but have the potential to sequester ten times more carbon per area unit than land systems, and are twice as effective at storing carbon in soil and biomass. 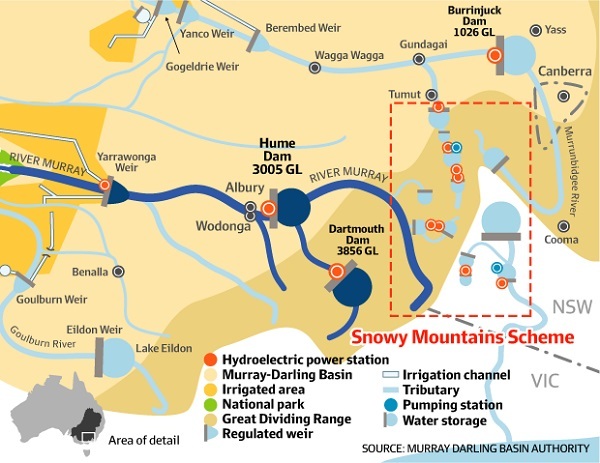 The Murray Darling Basin Authority and Meridian Energy Australia have begun a new trial whereby they target water releases from Hume Dam at times when solar power is waning and grid demand surging. The idea is that timing across the day will meet electricity needs, whereas the interrupted flows will even out downstream at Albury so as to deliver “business as usual” benefits to existing stakeholders – irrigators, communities and the environment. Meridian, which operates wind farms in South Australia and Victoria, bought hydro power stations on the Hume, Burrinjuck and Keepit dams this year to ensure more reliable, low-carbon supply for its Powershop retail arm. Lake Hume, on the Upper Murray, is the largest with 3005 gigalitres capacity but is now just under half-filled. Some dams, such as the big Dartmouth Dam on the Mitta Mitta River in Victoria, operated by AGL Energy, and the vast Snowy Hydro scheme in NSW, already have a lot of flexibility in when they release water thanks to multiple storages, but “run of river” dams – including Meridian’s Burrinjuck and Keepit dams – could benefit from the trial. Recently there was a headline that three of China’s coastal provinces had suspended imports of coal from Australia. Matthew Stevens at the AFR is at pains to inform everyone that seasonality has become the norm in the last few years as China cuts down pollution so that it can breathe a bit. To put the latest bans into some sort of context, China sits the second biggest centre of demand for Australian thermal coal, last year commanding a 21 per cent share of our exports. That leaves it a long, long way behind Japan, which accounted for 44 per cent of our exports in the 2017 financial year. The three provinces where bans are now in place account for 50 per cent of China’s thermal coal imports and if Fujian is added to the list then up to two-thirds of coal flow into China could be constrained. The effect on coking coal, on the other hand, will be more muted with the three provinces so far targeted accounting for just 18 per cent of demand. Malcolm Turnbull is scheduled to give a talk at a summit in Sydney which has been organised by The Smart Energy Council on December 4 on the topic Politics, engineering and economics: Opportunities for a clean energy transition. As Phillip Coorey said on Facebook, what could possibly go wrong? Turnbull should be well-qualified for this one, so we will be all ears Malcolm. Say it like it is! The plug in hybrid is looking like a premium deal, but the plug in electric is also great value. Former deputy Liberal leader Julie Bishop has called on the Morrison government to do a deal with Labor on the National Energy Guarantee, saying the Coalition’s business allies want it, and it would ensure a stable investment climate for the industry. “The government needs to consider energy policy through the prism of securing bipartisan agreement with Labor, to establish a long-term, stable regulatory framework that will support private-sector investment in generating capacity,” she told The Australian Financial Review. This from the AFR online, story by Phil Coorey; also reported by ABC News. She chooses her moments with skill. Splendid intervention by Julie Bishop, but it will emphasise what a divided rabble they are. Looking forward to Turnbull and his speech on Dec 4 at the Smart Energy Council. I’m hoping he will be completely frank and lift the lid on what really went on leading up to dumping the NEG. The Club of Rome launches Climate Emergency Plan, posted Nov 24. On 24 November 2018, We Don’t Have Time in Sweden broadcasted a webinar where Anders Wijkman, honorary chairman of the Club of Rome, presented a keynote about the Club of Rome’s Climate Emergency Plan, which calls for immediate emergency action by policymakers and stakeholders worldwide. Thanks for the Club of Rome link Geof M. It is good news in a sea of disaster. We have, on the latest announcement, 82 fires out of control in Qld today, many burning free. Several places are being evacuated. 107 NSW firies from NSW already here, and I believe another 300 plus from all states on the way. Authorities are saying the heat and wind are without precedent, with all-time records being set earlier in the summer than would be usual. Meanwhile Sydney received a dump of a month’s rainfall in a few hours this morning with more to come. On another front, it started in Sweden, then Victoria, and now it has spread to WA, school children ‘striking’ to protest inaction on climate change, converging on MP offices and parliaments around the country this Friday. “We are committed to all of these things, but I will tell you what we are also committed to – kids should go to school,” Morrison said. Needless to say, that stirred up even more support for the Big School Walk Out for Climate Action.. I think we have here a bear with very little brain. Phillip Coorey says, fair dinkum, if this mob had a duck it would drown. Then there is Logging called out by 12 yr old Watch the video. The 12 yr old is impressive at putting his case. Good to see the kids campaigning for their future instead of listening to Morrison and quietly studying. Indeed, it is. What will it take to begin an effective emergency response? I wonder whether ScoMo would react the same way if students were protesting about something else that ScoMo was against? There was talkback about the school kids protest last night on Nightlife. About 30 to 1 were absolutely scathing. One suggestion was that ScoMo should have sent his pollies off to the schools to listen to them. Half an hour ago, people in CQ in the fire zone were told they had half an hour to leave, or would probably be burnt to death. They were to drive along Flat Rock Road, the only road left, which would take them to a creek where they could be ferried across to Rocky Point. They’ve been told that going to the beach will not save them. Now the police are doing one last sweep before they leave. Forecast is for a dust storm blowing in from the west, with dry thunderstorms. It must be like Armageddon. Tipping points analogy. Think of the scene as being our civilisation…..